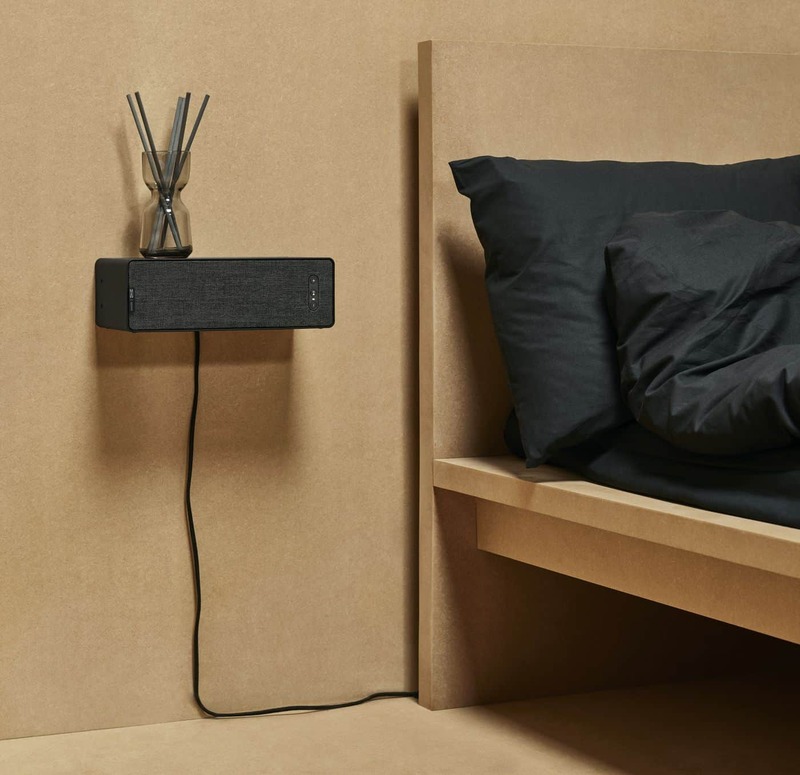 “The products will deliver something that both companies are super proud of,” Sonos CEO Patrick Spence said in a recent interview, which also included Ikea’s global business leader Björn Block. “We’ve given it our utter most and utter best from the IKEA side and Sonos has done exactly the same from their end,” said Block. 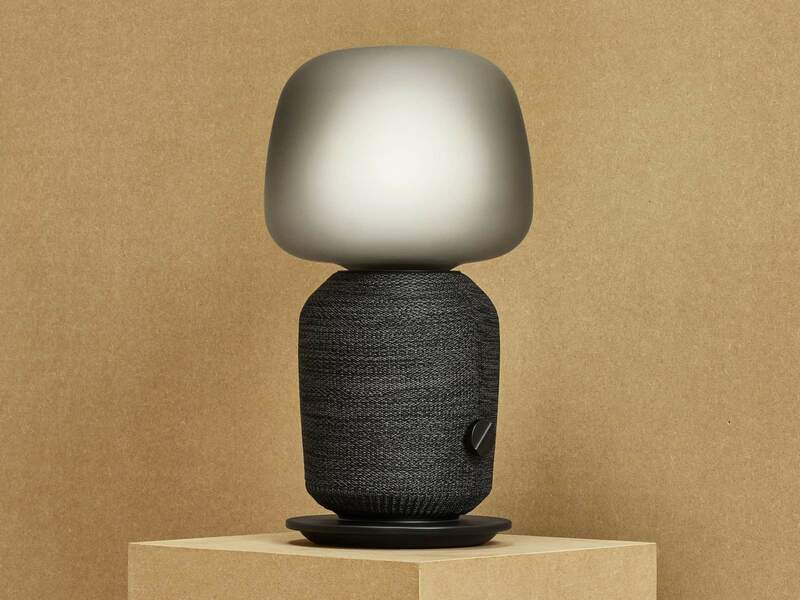 Spence suggested that the lamp’s audio performance should be similar to — if maybe a rung or two below — that of the $199 Sonos One. It has a dial on the lamp body to control the light, and there are track control buttons on the base plate portion. (They’re out of view in these promotional images.) The lamp does not include a smart bulb out of the box, so you’ll have to buy one separately. Block said that, eventually, Ikea’s smart home app will integrate music controls for the speakers, allowing customers to build scenes that factor in the lamp, Ikea’s smart blinds, and any bulbs you own. (Sonos speakers can already be controlled entirely within Spotify, iHeartRadio, and other apps, so to see that extending to Ikea isn’t a surprise, given the significance of this partnership.) Who needs an alarm clock when your bedroom lamp can blast some music and switch on the light come morning? The bookshelf speaker is the smallest speaker that Sonos has ever made (and it’s smaller than what you might expect based on its name), so I’m not very hopeful that it’s going to offer blow-away sound. Spence more or less confirmed that the bookshelf speaker won’t pack quite the same bass punch as the company’s regular lineup. But he also said that Sonos’ TruePlay feature, which tunes a speaker’s audio output based on its position in a room, makes a big difference in improving sound quality for both the lamp and bookshelf products. Spence expressed confidence that both speakers will sound better than anything else at their respective price points. I wish the bookshelf speaker had a rechargeable battery inside — it seems like a good size to take outside during a party — but that’s not the case. Either way, like most things Ikea, I think the goal here was to make something good enough for the masses. The bookshelf speaker can double as, well, a shelf. Obviously, the sizes of those components will differ in each product even if the internal layout sounds similar. 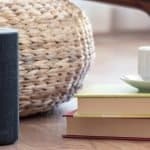 The lamp and bookshelf speakers will be full-fledged members of the Sonos ecosystem. They can join an existing setup or serve as your entry into multiroom audio. If you buy two of each, you can stereo pair them or even use them as the rears in a 5.1 audio setup, assuming you already own a Playbase, Playbar, or Sonos Beam. (How many 5.1 systems do you know of that include lamps as rear speakers?) Both speakers also support Apple’s AirPlay 2 for playing music from a slew of apps or with voice commands via Siri. If you’re wondering who’s in charge of what on the manufacturing end, it sounds like a two-way effort. “It’s jointly developed,” Spence said. 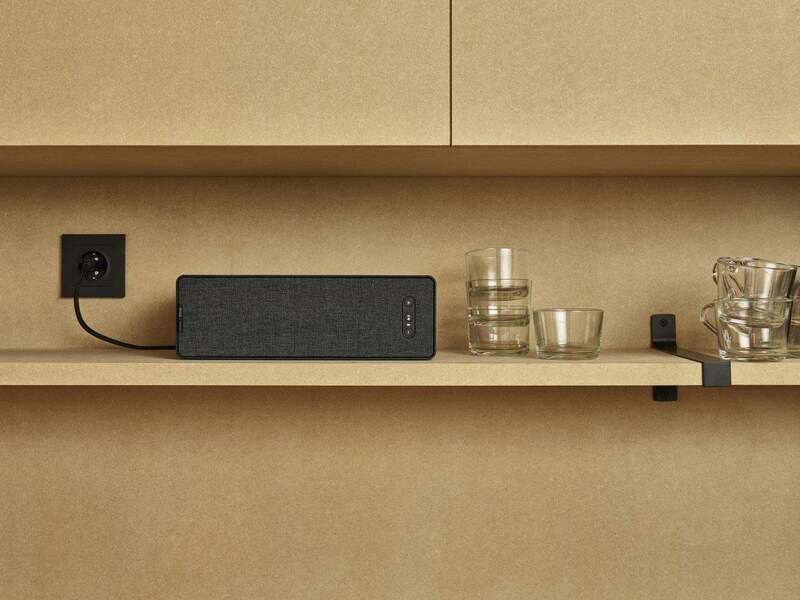 “There’s certain aspects which we build on the board and then give to Ikea, and they assemble as well.” The two Symfonisk speakers share some chips with the Sonos One, but there’s no microphone built into either device. Also, both have traditional, physical buttons for music controls versus the touch-sensitive buttons on Sonos speakers. 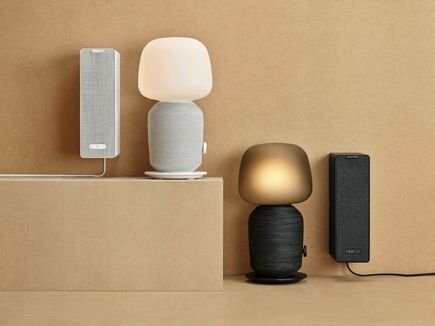 Both Ikea and Sonos are saying this is only the first phase of their partnership, so future speakers might very well offer Alexa support. 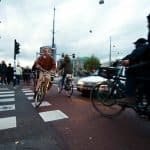 Ikea’s Block said that the home retailer’s research shows that 59 percent of customers surveyed cite music as the number one factor of a “great atmosphere.” The company dabbles in inexpensive Bluetooth speakers, but Block said that Ikea has lacked the expertise to really build and get behind a great-sounding speaker. That’s where Sonos came in. 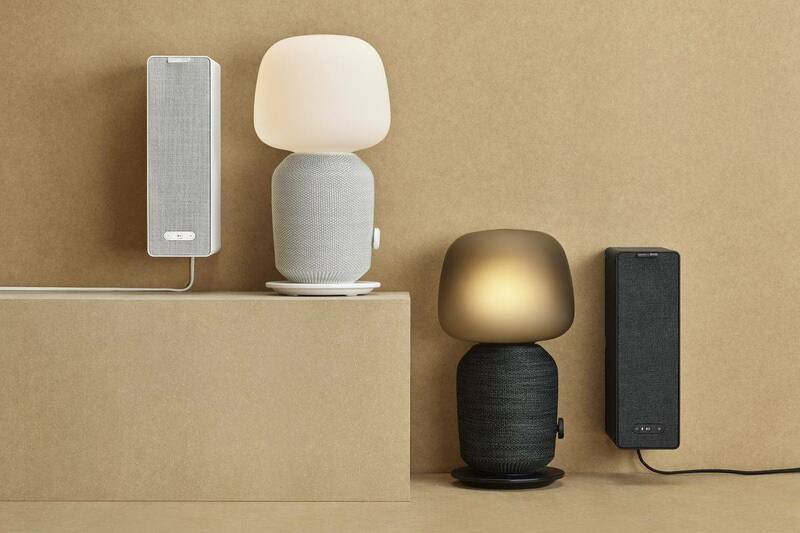 According to Spence, Ikea’s designs — and the mere idea of outfitting a lamp with a speaker — forced Sonos to get creative and approach these products differently.